← Focus on Arizona Agriculture: Why Clean a Marble? On Friday, February 22nd, people all over the country will be raising a glass in celebration of one of our favorite drinks, the margarita. As the most popular tequila-based cocktail in the country, the margarita in all its various forms goes perfectly with the traditional Southwest flavors associated with Arizona cuisine. Whether you prefer your margarita frozen or on the rocks, National Margarita Day offers a unique opportunity to get friends and family together for a little fun. To help you make the most of your margarita celebration, here are some margarita + menu combinations filled with spectacular Southwestern flavors. This get together is all about being laid back and therefore doesn’t require a lot of prep or planning. 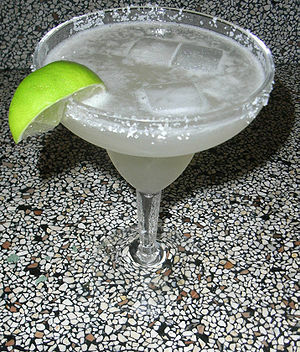 Start with a couple different fun and easy flavors of margarita like Strawberry Lime or TGIF Margarita. Lay out a buffet filled with easy menu items and let people fill their own plates. Quick Pork Fajitas, Smothered Burritos, and Tostados are all fun choices that most people will love. If you are up to a little more work and looking for a little more sophistication, pick upscale margaritas like the Golden Margarita, the Cranberry Margarita, and the Coconut and Mango Margarita. Let guests choose their favorite flavor while they mingle and munch on appetizers like Avocado Appetizer and Green Chili Wontons. Serve a three-course sit-down dinner beginning with a selection of soups like Albondigas Meatball Soup, Chicken Tortilla Soup, and Mexican Pork and Bean Soup. For the second course, let your guests choose between Chicken Breasts with Cheese and Chilies and Peachy Pork Picante. You may want to make a little extra since these entrees are so fantastic, some guests will want to sample them both. Finish dinner off with a delicious dessert like Cheri’s Classic Prickly Pear Cheesecake or Avocado and Pistachio Ice Cream. If you aren’t up for a big dinner, invite people over for a cocktail hour instead. Make the night all about the margaritas by making a variety of flavors available. Save time by premixing batches of time-tested favorites like the Strawberry Lime Margarita, Light Margarita, and traditional Lime Margarita. Then branch out a little by offering some more exotic versions like a Blue Agave Margarita, a Cucumber and Aloe Margarita, and a Spicy Margarita. Fill bowls with tortilla chips and spread them around the room and then offer a salsa and dip bar filled with fabulous Southwestern condiments. Cantaloupe Basil Salsa, Chicken Enchilada Dip, Corn and Black Bean Salsa, and Jalapeno Pepper Dip are all sure to be big hits at your cocktail party. Make sure you also offer non-alcoholic versions or “mocktails” for those guests who want to participate but don’t want to drink alcohol. This also ensures that designated drivers and any underage attendees can also be part of the fun. This entry was posted in Holidays, Recipes and tagged Arizona, Chicken Breasts, Chili pepper, cooking, Fill Your Plate, Friday, Home, Mango Margarita, Margarita, Margaritas, recipes. Bookmark the permalink.